In just his fifth bout as a professional, Bennie Briscoe fought in his first-ever main event when he faced Joe 'Sugar Baby' Smith at the Blue Horizon, on this day in 1963. Briscoe won the fight by TKO in round six, when referee Zack Clayton stepped in to save the West Philly fighter from taking further punishment. The end came at 1:47 of the round. Briscoe, North Philadelphia, was just beginning a long and distinguished career that would stretch for 20 years (1962 to 1982). One of the most popular Philly warriors ever, Briscoe packed all the major Philadelphia boxing venues, including the Arena, Blue Horizon, Spectrum, and Convention Hall. He was also well-liked abroad, and fought in foreign rings many times. Although he never took home a world title in his three attempts (1972, 1974, 1977), Bad Bennie did win the PA State welterweight title, beating Charley Scott by first round KO in 1964. 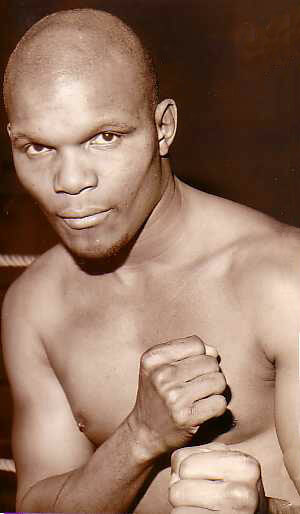 Two years later, he claimed the PA State middleweight title with a tenth round TKO of George Benton. In 1974, he won the North American Boxing Federation (NABF) 160-pound title in a match against Art Hernandez. Bennie's overall record was 66-24-5-1 (53 KO).